View Acupuncture CEU Courses by Dr. Daoshing Ni. Dr. Dao is the co-founder of Yo San University of Chinese Medicine, and serves as chair of Doctoral program in Women’s Health and Reproductive Medicine. After earning his O.M.D. and Ph.D. in Oriental Medicine, he took advanced studies in internal medicine, gynecology, and pediatrics at both Beijing and Nanjing Colleges of Traditional Chinese Medicine in China. At the age of 19, Daoshing was the youngest person to be licensed by the California Acupuncture Board. Most recently, Dr. Dao was recognized with the Lifetime Achievement Award at the 2018 Integrative Fertility Symposium in Vancouver, British Columbia. He was honored by the conference for being a pioneer and trailblazer in the field of integrative reproductive medicine. He was awarded the recipient of the American Fertility Association’s Dr. Joyce Vargas Visionary Award in 2009. He is a member of the American Society for Reproductive Medicine, Pacific Coast Reproductive Society, American Society for Nutrition, and the American Association of Oriental Medicine. Dr. Dao has received 5 star reviews on Amazon for his bestselling book The Tao of Fertility published by Harper Collins. His podcasts on many fertility topics can be viewed on popular Women’s website, EmpowHer. Dr. Dao has been featured on NBC’s The Today Show, Conceive Magazine, Conceive On-Air, Women to Women, Donny & Marie Show, KTLA Morning News, and numerous other television interviews. Dr. Dao practices at his clinic, The Tao of Wellness, in Santa Monica, California. A Healing Chinese Medicine Program to Prepare Body, Mind, and Spirit for New Life. An esteemed doctor who has helped countless women achieve their dream of having a child offers his program for enhancing fertility through traditional Chinese medicine (TCM). 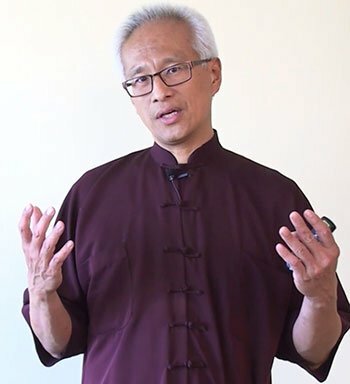 Dr. Daoshing Ni, descended from more than 70 generations of Taoist masters, has achieved renown among high-tech infertility specialists, TCM practitioners, and his many devoted patients. 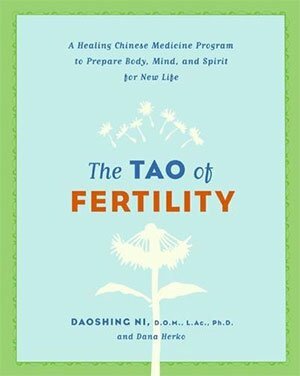 The Tao of Fertility is the first book combining a practical plan for conceiving using TCM with empowering Taoist principles that can carry you through pregnancy, childbirth, and beyond. Eating plans for pregnancy, postpartum, and while breast-feeding. Enriched by moving stories of women who became pregnant using TCM, this is a compassionate, comprehensive handbook. Sitting Moon provides women with information on how to prepare for a new child and how to have a healthy postpartum period. The book includes information on nutrition, especially Chinese nutrition, what physical changes a new mother might expect, common ailments and how to help heal them, qi gong, acupressure, meditation, and exercise. Also includes recipes for the first four weeks after birth and meal plans.